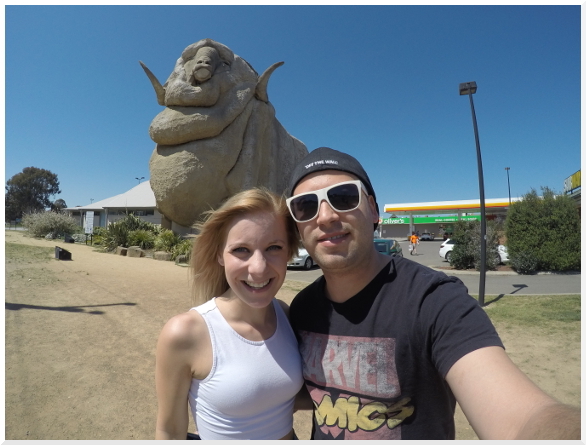 We made one stop in a town called Goulburn, as they have a huge statue of a sheep called the Big Merino! Once we arrived we found our hotel and checked in. 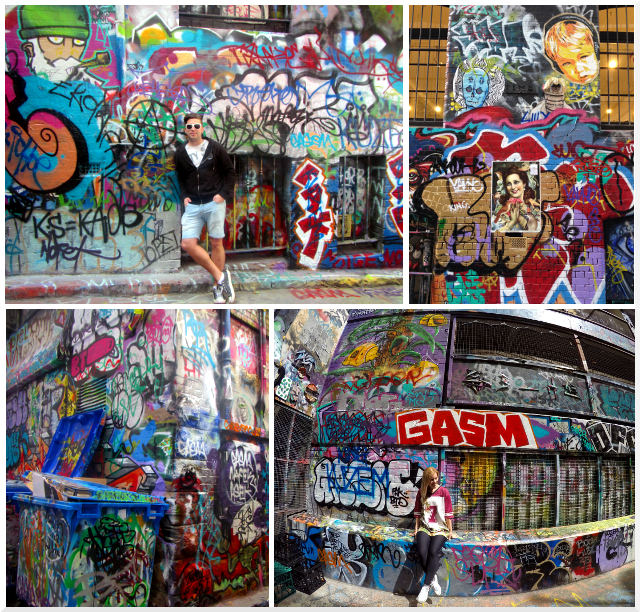 It was called the Tune Hotel, which was cheap and in a great location to walk into the city. The next morning we headed out and went for breakfast in a cafe opposite the hotel. 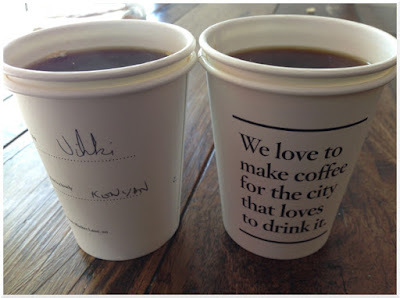 We had been told the coffee in Melbourne was awesome and it definitely was, double shots come as standard! Yummmmm! After breakfast we headed down to the State Library, where we joined the 'I'm Free' walking tour, which we had picked up a leaflet for in our hotel. 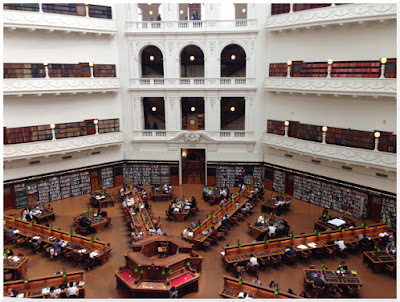 The tour took us to a few places including the old Melbourne jail, Carlton Gardens and Chinatown, and we learned a bit about the history of Melbourne along the way. The tour guide then took us to some small 'laneways' where there was loads of street art. We stopped to take a few photos as the art was awesome, and before we knew it we had lost our group! Oops!! 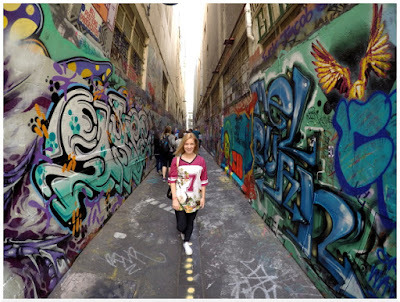 We made our own way to Hosier Lane, which is probably the most well known street art laneway in Melbourne. We loved this place, it was awesome for taking photos! We weren't sure where else the tour would have taken us and we felt kind of bad that we weren't there to tip the tour guide at the end, but he shouldn't of been in such a hurry, haha! 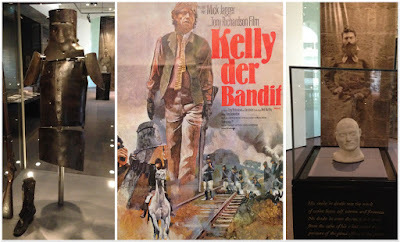 We found our way back to the State Library and thought we'd take a look inside to see Ned Kelly's armour and his 'death mask.' 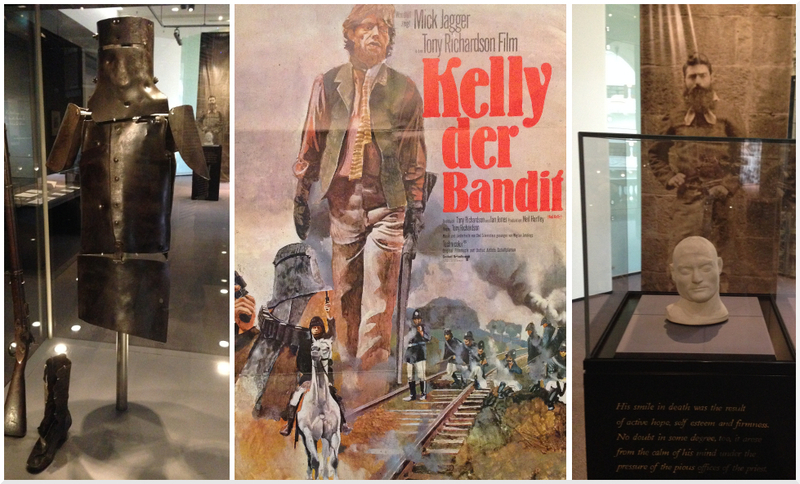 We had a figure of Ned Kelly where we worked at Madame Tussauds so it was interesting for us to see! 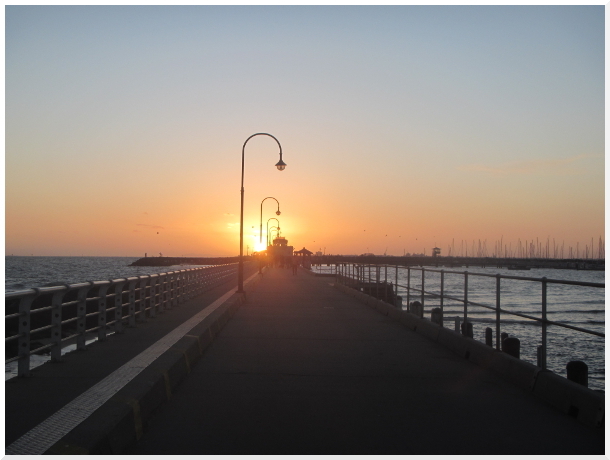 We decided to get the tram down to St Kilda beach, as you can see penguins there at sunset, but it was freezing! 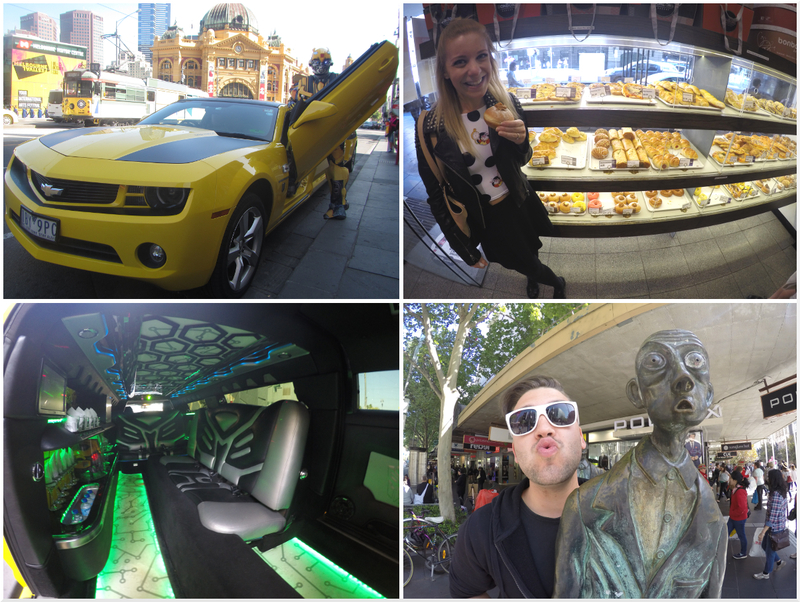 So we had a look at Luna Park and the beach then headed back to get some warmer clothes on! Luckily we had bought 'Myki' cards for the public transport and it didn't go over a certain amount per day. When we arrived back just before sunset there were loads of people all heading down towards the pier, and once we got down there it was literally full of tourists waiting to see the penguins! At first the odd few penguins started to swim up to the shore, and make their way under the boardwalk where we were standing, to their homes in the rocks. 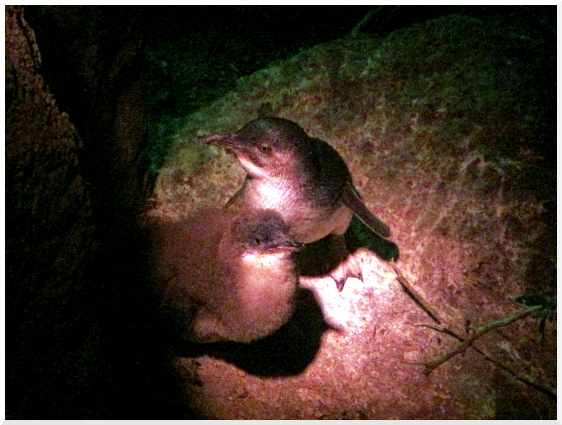 There were volunteers down there who help you spot the penguins and have red lights to point them out without hurting their eyes. You couldn't use flash for this reason so it was a little hard to get a photo but as it got dark there were penguins everywhere! The following day we had a walk up to the Queen Victoria Markets to have a look around there, we also went in a coffee shop called Market Lane Coffee which we had heard was a good one! Instead of our usual lattes we ended up trying some weird flavoured coffees with no milk, which were.. interesting! 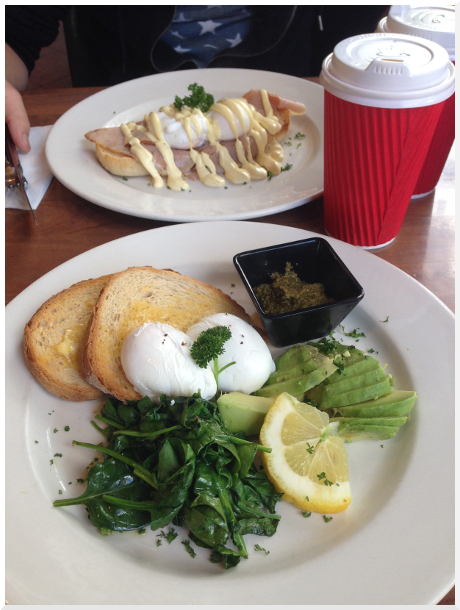 We then had another wander around and ending up going for breakfast on Degraves Street. We then headed over the bridge which took us to the Eureka Skydeck, and we went up to the viewing area for some great views over the city. We headed back to the hotel, seeing a few random things along the way including a limo done up like Bumblebee from the Transformers and some funny looking statues! That evening we went to a dinner show called Draculas! 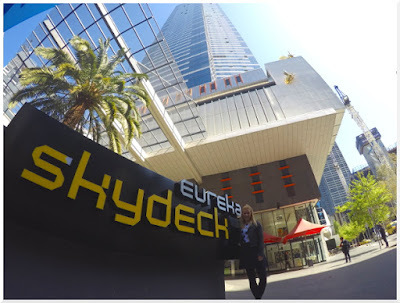 It was just a short walk from the hotel and we expected it to be a bit tacky but it was really fun, the show was really good and the food was yum! 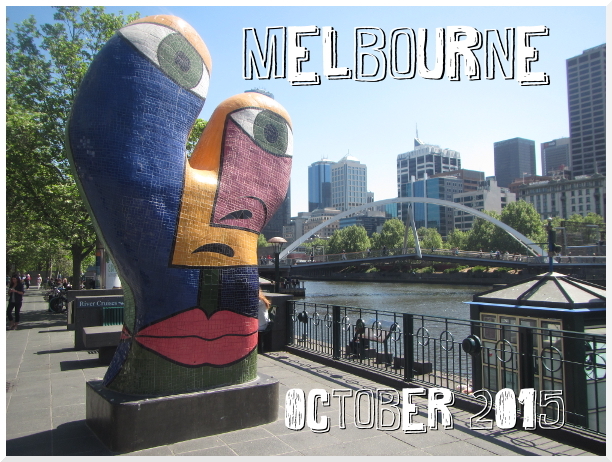 The next morning we decided to go on the Neighbours tour, although we both hadn't watched it since we were kids! 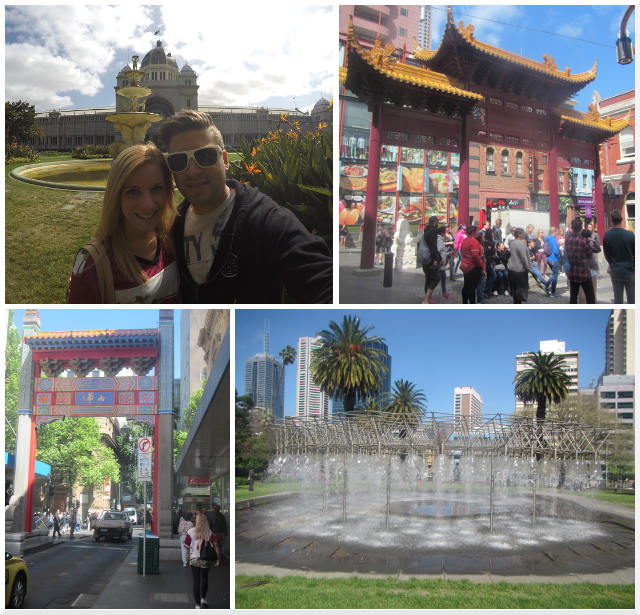 We checked out of the hotel and headed down to a different part of the city where we had to meet. Our guide was an Irish guy called Gerry and he knew literally everything about the show! He drove us about 40 minutes from the city to the cul-de-sac which is used as Ramsey Street, which is actually called Pin Oak Court. He gave us some props for photos, like the Ramsey Street sign and a school bag, and an old cast member (Stingray?) turned up to meet us too. We then drove just a bit further down the road which took us to the studios. 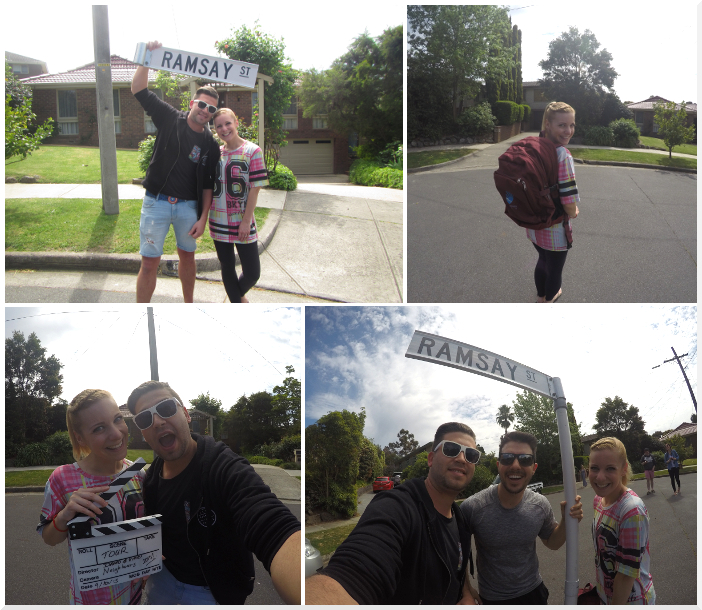 We saw another cast member leaving in his car as we drove in, then had photos taken with the 'Welcome to Erinsborough' sign and some other places from the show like shops and a car garage. It was an awesome tour and we really enjoyed it even though we didn't know the characters being talked about most of the time! 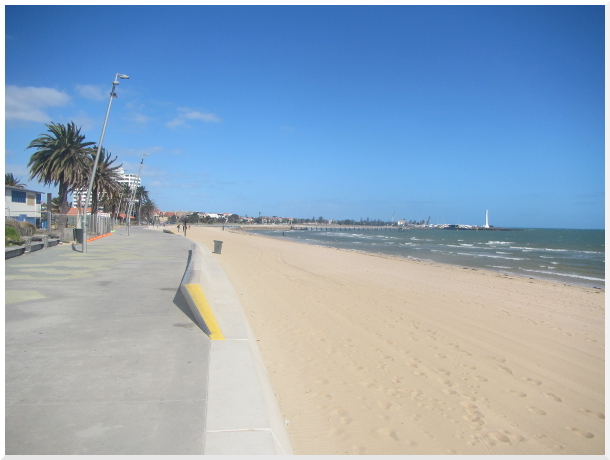 After the tour we arrived back in Melbourne, but before setting off on the Great Ocean Road we decided to drive down to Brighton Beach. We had seen a fridge magnet in a shop which had photos of some cute looking beach huts so we Googled to find out where they were! 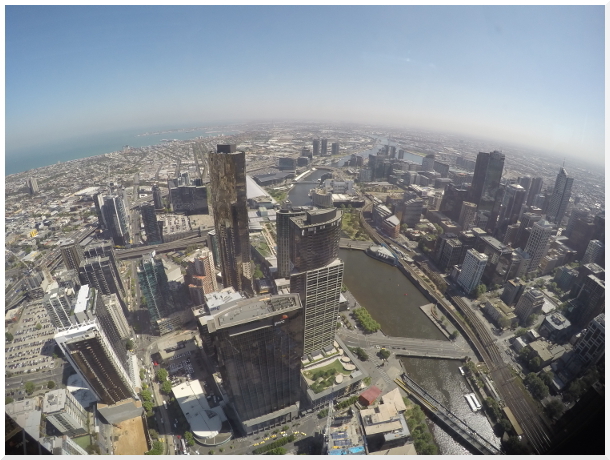 We then set off for the Great Ocean Road, which you can read about soon...!